I don’t know what the weather is like where you are, but where I live, it’s cold, rainy, dreary and gray. Ugh! When the weather is overcast for several days in a row during the summer, it’s not so bad, because there are bright flowers blooming, and their color keeps everything from taking on an ashen quality. This small camellia bush is one of three that my husband and I have planted in our garden, and it’s always the first one to bloom each winter. 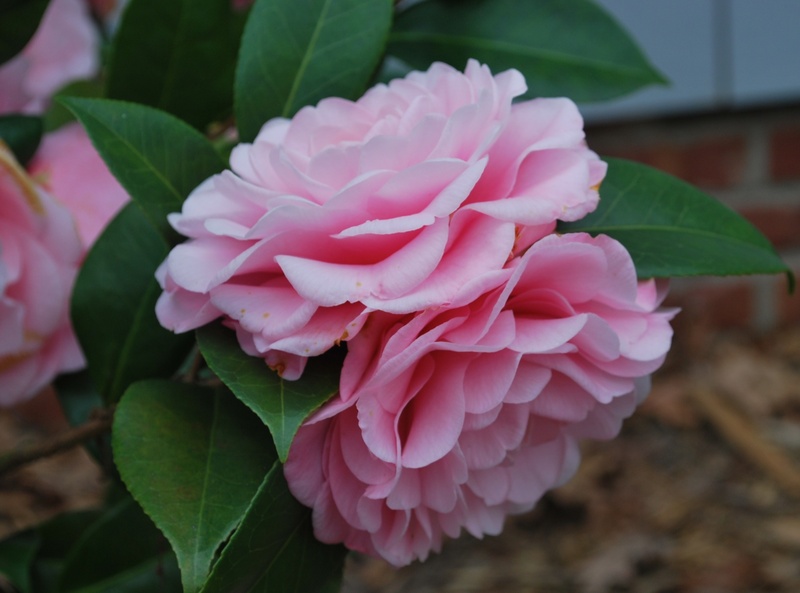 Its numerous, large blooms are this winter’s reward for me finally figuring out what kind of fertilizer camellias like (I used Holly-tone on them this past fall). I don’t know why this bush blooms first, or why it has so many more buds and blooms on it than the other two. I suspect one of the others doesn’t get enough sunlight, and my husband doesn’t think it gets enough water either. But the third camellia is almost equally situated with this one in the garden, gets the same amount of Holly-tone, light and water, and though a bit taller, doesn’t have nearly the quantity of buds on it as this one that’s blooming now. 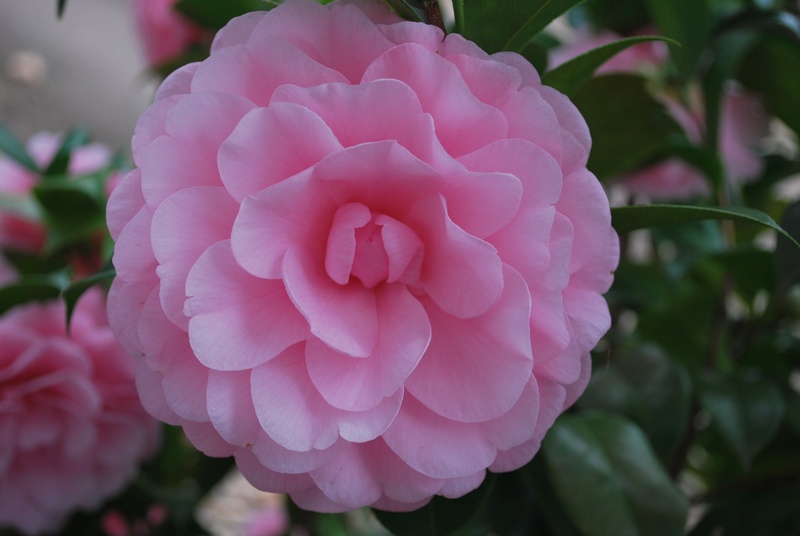 As I puzzle over what makes one camellia flourish and another just stay alive, I’m reminded of the parable of the sower (Matthew 13:3-9) who sowed seeds all over the place: by the roadside, on the rocky places, among the thorns, and on the good soil. This message was too important to miss, and that’s why Jesus explained it in such detail. The word of God will fall on many hearers in many different situations. But not all hearers will produce the same result, and even those counted as “good soil” will not bear an equal amount of fruit. Yet the sower sows abundantly and reaps abundantly. What I take from all of this is encouragement to keep working. Whether the seeds I’m sowing are for more camellias or for sharing the word of God, I am called to sow abundantly and anticipate a rich harvest nurtured by soil and sunlight. And nourished in the Son’s light, I can expect to find a flourishing, fruitful life that brings joy to others, even on dreary days. 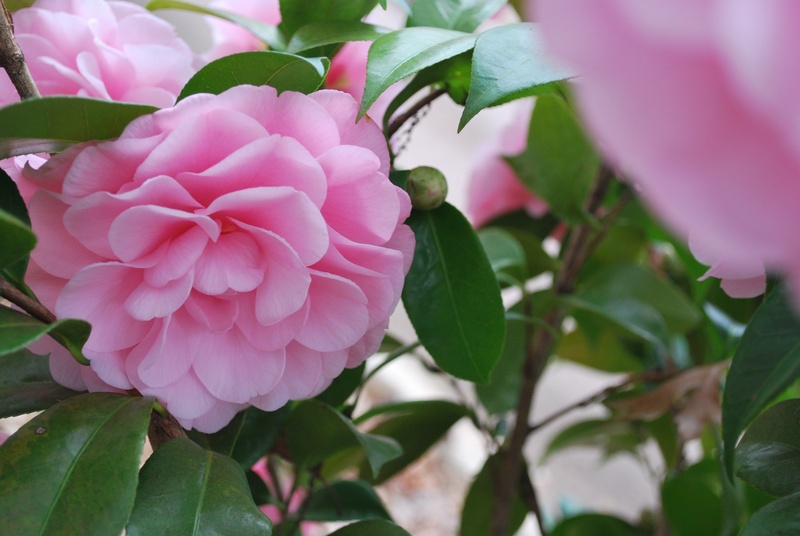 I’ll leave you with a couple more pictures from my camellia. Its blooms are a hundredfold, and the joy it brings is even greater. Even in the gray days of winter, what hundredfold harvests can you see in your own life? This entry was posted in flourishing tree and tagged camellias, dreary weather, encouragement, flourishing tree, hope, Jesus' parables, joy, the parable of the sower, winter, winter garden by hopesquires. Bookmark the permalink. WOW! The flowers are so beautiful! I am going to try the fertilizer you use because my camellias are in bad shape. I really love your interpretation of the parable. I took some time to read the whole passage, then the parable of the mustard seed because I started to think about that one, too. = ) Thanks for pointing me into that direction. I think I needed the reminder. Jackie — I’m glad this post inspired you to read those parables in the Bible. 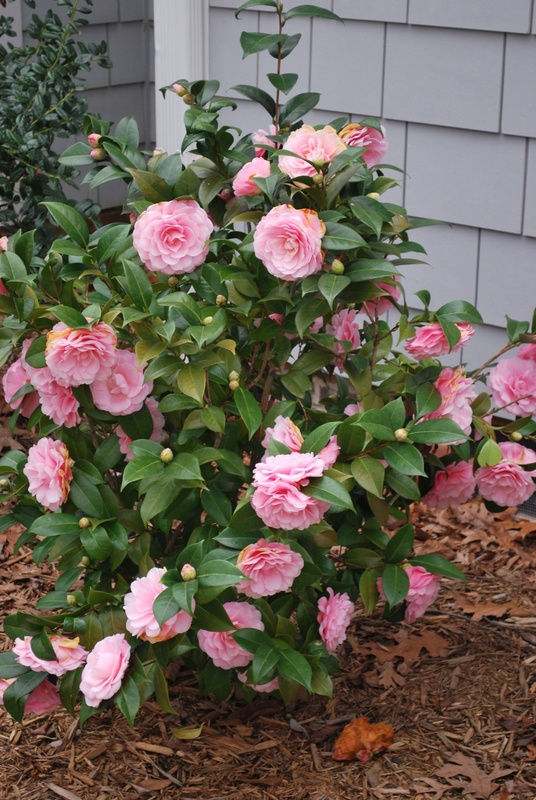 Keep me posted about your camellias and the fertilizer! I’m glad they brightened your day. Stay warm!